St. John is a tropical paradise, from white, sandy beaches to crystal clear waters. One of the best activities to enjoy during your vacation stay with CimmaronStJohn is St. John fishing. Get out on those gorgeous waters and let a guide show you where the best fish are. Then, cast your line and see what you come up with! Whether you’re an avid fisherman or just looking for a recreational activity to participate in on your vacation, St. John fishing is a wonderful alternative to spending your entire day lounging on the beach (though that doesn’t sound half bad either!) Here are just a few of the best St. John fishing charters! An unforgettable Virgin Islands expedition awaits at Ocean Surfari, a popular St. John fishing charter. With experienced captains and expert knowledge to know where the fish are biting, Ocean Surfari will not only take you out into the big blue but take you right to the best places to catch some fish. With provisions of water, soft drinks, beer, and ice, you will stay refreshed during your St. John fishing adventure. You will also be provided with fishing tackle and bait as well as safety equipment and camera equipment to capture some memories! Don’t let your St. John fishing be limited to the shore. With World Class Anglers, you will embark on a thrilling offshore adventure. As the oldest St. John fishing charter business, World Class Anglers has a great reputation for friendliness and knowledge on where to make those amazing catches with the guidance of Captain Chris and crew. The 35-foot Carolina Classic will provide a stable, dry ride in most weather conditions with enclosed seating for up to six anglers. Other vessels are available as well for your World Class Anglers fishing escapade. Cast your line for some mahi-mahi, kingfish, barracuda, rainbow runner, and dolphins. If you don’t make a catch, you don’t have to pay- 100% guaranteed! Available for both St. Thomas and St. John fishing voyages, Offshore Adventures provides sport fishing charters during your vacation stay in the Virgin Islands. With world-renowned sport fishing just a boat trip away, you will be catching some incredible fish in no time thanks to some professional guides who know the tides. Whether you are a fishing expert or novice, Offshore Adventures will accommodate your needs, offering both offshore and inshore trips. Offshore is the specialty however, with catches that include marlin, dorado, tuna, and wahoo! If you’re in the mood for some St. John fly fishing, then check out Arawak Expeditions. With fly fishing charters and light tackle inshore fishing options, Captain Arthur Jones and his 18-foot Edgewater will take you on a half-day of full-day of fun. As a guide and captain for almost 15 years, he specializes in bonefish and tarpon on the fly, but you can catch other species as well, such as snook, jacks, bonita, sharks, and barracudas. 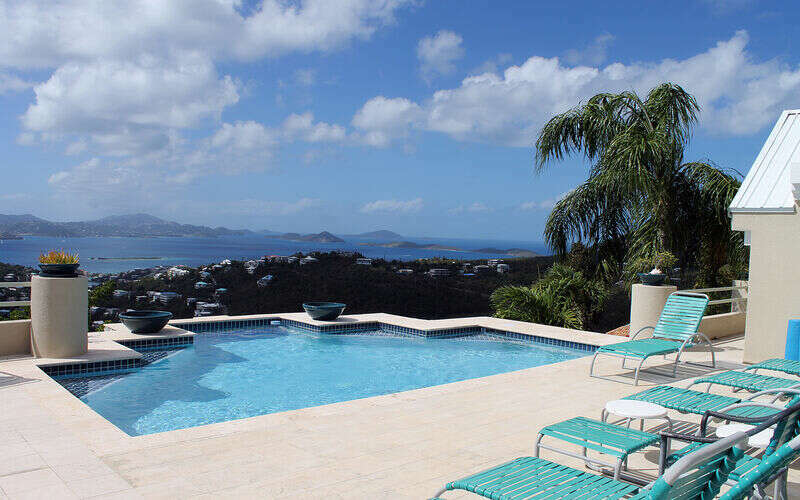 After your St. John fishing adventures, come back to your relaxing CimmaronStJohn vacation villa for a peaceful escape with incredible views of the waters you might’ve just been on! You can have a fish fry on one of your open deck grills and sit with a nice, cold, tropical beverage while you enjoy a spectacular island sunset. We can’t wait to see you here in paradise!